Wall-Mounted Turntable Plays Records Vertically; Onboard Speaker With Volume Control; 33/45 Rpm With 45 Adaptor; Ideal Where Space Is Limited; Battery Powered For No Wires When Mounted; 4 Aa Batteries Included; Optional Ac Adaptor Available Separately. The WaterDog automatic outdoor pet drinking fountain lets your dog help itself to fresh water, so you don’t have to worry about stagnant or empty water bowls. WaterDog senses your dog’s approach, and automatically dispenses a cool, clean stream of fresh drinking water. Smart sonar sensing technology triggers the WaterDog to turn the water on when your pet comes within 3 feet (1 meter), and turns it off when your pet leaves. You’ll never have to worry about what your dog’s been drinking again. With this stylish and dazzling fretwork electroplating hollow pattern design PC back case, you may protect your iPhone from scratches and damages while decorating it with elegance and eye-catching style. Full access to all ports, buttons, and cameras on the phone without the need to remove the case. Simple snap-on design for easy installation and removal. Made of high quality and durable polycarbonate material. For iPhone 5 only. Here is Luxury Chrome Hollow Pattern PC Hard Case for iPhone 5. Traditionally, pitting cherries is a messy job. The Talisman Designs Cherry Chomper is compact, fun to use, mess-free, and kid-friendly. It features a plunger-type action that pushes the cherry pit and residual juice into the bottom container of the pitter. To pit a cherry, simply insert it into the Cherry Chomper’s mouth, press down the head, and release. The protective ‘tooth’ ensures that hands and fingers won’t be touched by any of the components. The Cherry Chomper also pits olives. It stands six inches tall and is dishwasher-safe. 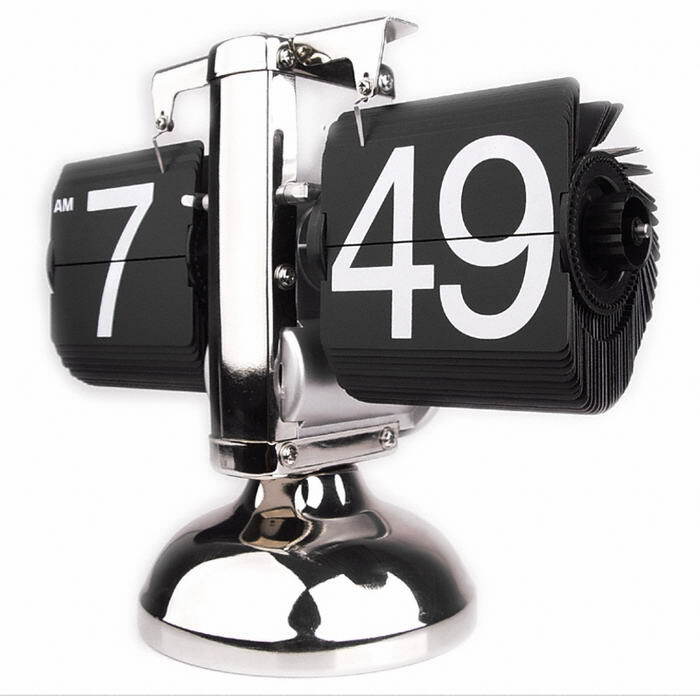 Creative clock book by Karlsson can perfectly fit in your bookshelf. The titles of books show the hours of clock. The Drill Gun works like any electric screwdriver, punching starter holes, securing stuff to your walls and performing the usual host of drilling duties without putting any strain on your hands and wrists. Like any proper power drill, it comes with multiple interchangeable bits (3 flats and 3 phillips for 6 total), all of which can be kept in the extruding cylinders. The 3.6-volt drill has a torque of 3Nm, with max speed of 180 rpm and a rechargeable onboard battery. Preloaded with enough ink for 5,000 assertions, the Like and Dislike stamps give you the ability to emphatically thwack your opinion on tangible objects in the real world. Second season of “LOST” on DVD? Dislike. Sarah Palin on the cover of US Magazine? Dislike. Cease and desist letters? Dislike. Parking tickets? Dislike. Pictures of kittens? Dislike. Honestly, we’re critical of most things so don’t pay attention to us. Born from a collaboration between the Jailbreak Collective and Nation Studio in the UK, the Like and Dislike Stamps are a formidable duo of approval and distaste. Physically sharing your opinion? What a throwback. BookBook for iPad is a handmade, one-of-a-kind, hardback leather case for the New iPad (3rd generation) and iPad 2. This multi-functional iPad Case features an interior support frame that creates a variable-angle display stand and a built-in typing stand. Along with its vintage looks, this case makes iPad feel as if you’re holding a real book, and in many ways you are holding a book. BookBook for iPad provides two forms of protection. First, the hardback cover and rigid spine provide impact protection for your prized iPad. 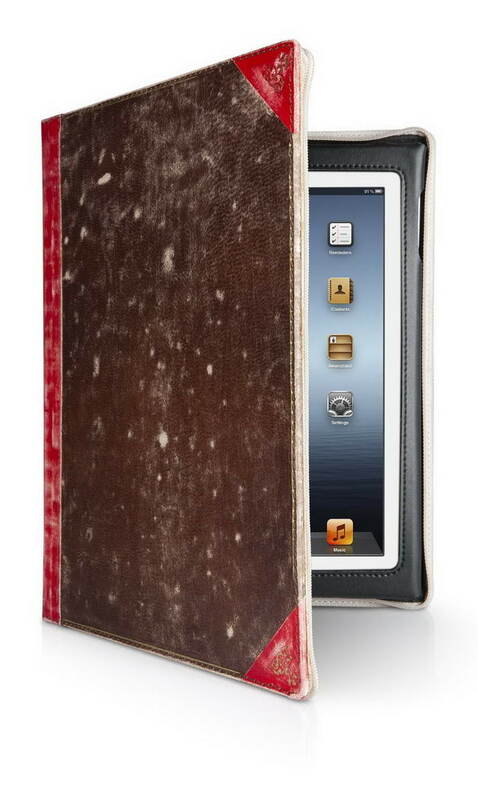 Second, the unique vintage book design of this case disguises iPad, helping protect it from theft. BookBook for iPad is available in three styles: Vintage Brown, Classic Black and Vibrant Red.